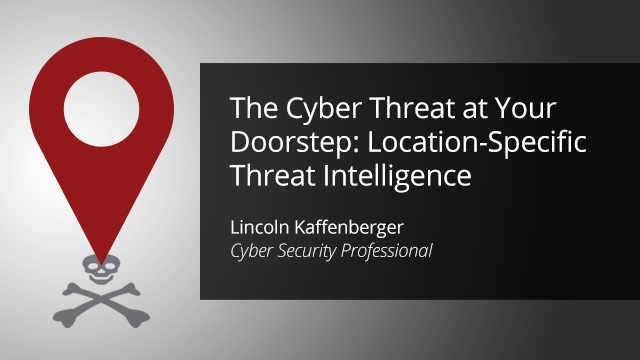 To fully know the level of cyber risk, organizations must understand the location-specific threat actors. These actors can be a host nation government that is monitoring your communications or APT style groups, cyber criminal groups, or hacktivists. An accurate cyber risk measurement by location improves management decision making, increases security awareness, reduces risk, and can increase operational effectiveness. • The related geographical cyber risks that people and organizations experience as they move from location to location. • A framework for understanding, assessing, and measuring location-specific cyber risk. • How threats and risks posed by them can be measured through an empirical model, standardized across all locations. • How to quickly assess cyber threats related to a location using real-time threat intelligence from the open, deep, and dark web.